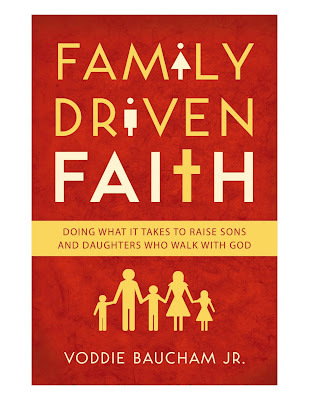 Jon Criss' Blog: Family Driven Faith by Voddie Baucham Jr.
More teens are turning away from the faith than ever before: it is estimated that 75 to 88% of Christian teens walk away from Christianity by the end of their freshman year of college. Something must be done. Family Driven Faith equips Christian parents with the tools they need to raise children biblically in a post-Christian, anti-family society. Voddie Baucham, who with his wife has overcome a multi-generational legacy of broken and dysfunctional homes, shows that God has not left us alone in raising godly children. He has given us timeless precepts and principles for multi-generational faithfulness, especially in Deuteronomy 6. God's simple command to Moses to teach the Word diligently to the children of Israel serves as the foundation of Family Driven Faith. I just finished reading this book and really enjoyed it. Voddie Baucham addresses family discipleship and family worship very well and to the point. I also really appreciated his chapter Learn to Love.